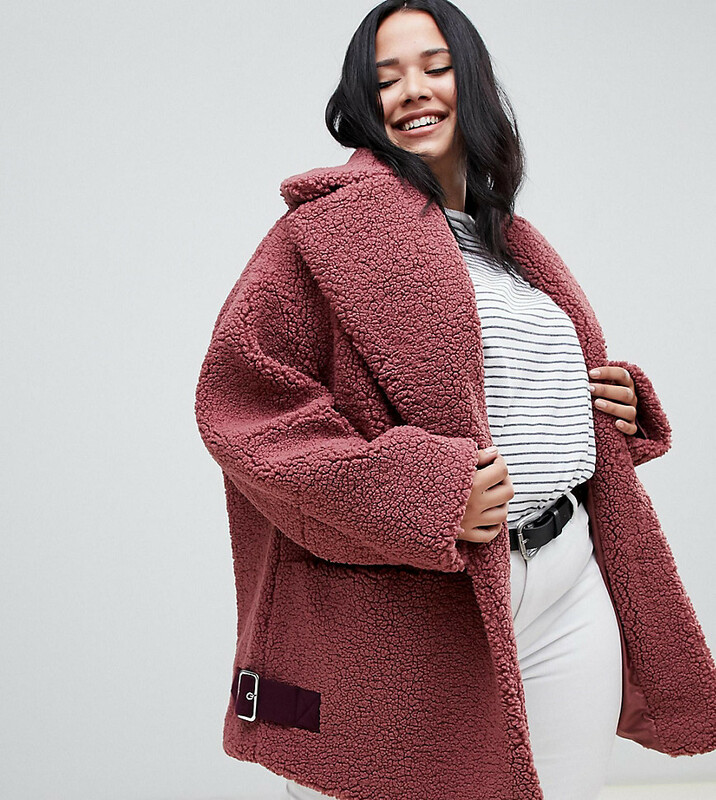 For a neat-meets-stylish getup, consider wearing a pink fur coat and white skinny jeans — these items fit beautifully together. When it comes to shoes, this outfit is complemented nicely with pink suede lace-up ankle boots. If you're on the lookout for a casual yet totally chic getup, try pairing a pink fur coat with navy ripped skinny jeans. Both garments are totally comfy and will look fabulous together. Got bored with this getup? Enter black leather platform loafers to spice things up. You can be sure you'll look dazzling in a pink fur coat and a pink leather pencil skirt. 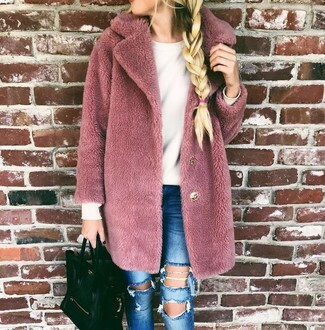 If you're on a mission for a casual yet stylish outfit, rock a pink fur coat with blue ripped skinny jeans. Both pieces are totally comfy and will look fabulous together. If you're looking for a casual yet absolutely chic getup, rock an Asos Curve asos design curve teddy borg biker from Asos with a grey plaid mini skirt. Both pieces are totally comfy and will look fabulous together. Dress in an Asos Curve asos design curve teddy borg biker from Asos and grey dress pants for a ridiculously gorgeous look. When it comes to footwear, this ensemble is round off wonderfully with white leather ankle boots. For a casual totally stylish ensemble, wear an Asos Curve asos design curve teddy borg biker and a white bodycon dress — these two pieces play nicely together. When it comes to footwear, this look is round off wonderfully with white leather heeled sandals. If you're looking for a casual yet chic getup, wear a pink fur coat with black chinos. Both pieces are totally comfy and will look fabulous paired together. Make black leather ankle boots your footwear choice to kick things up to the next level. For a cool-meets-stylish outfit, pair a pink fur coat with grey skinny jeans — these two items work beautifully together.